We Can Not Write Personal Insurance,(personal auto and home) In The Red States. 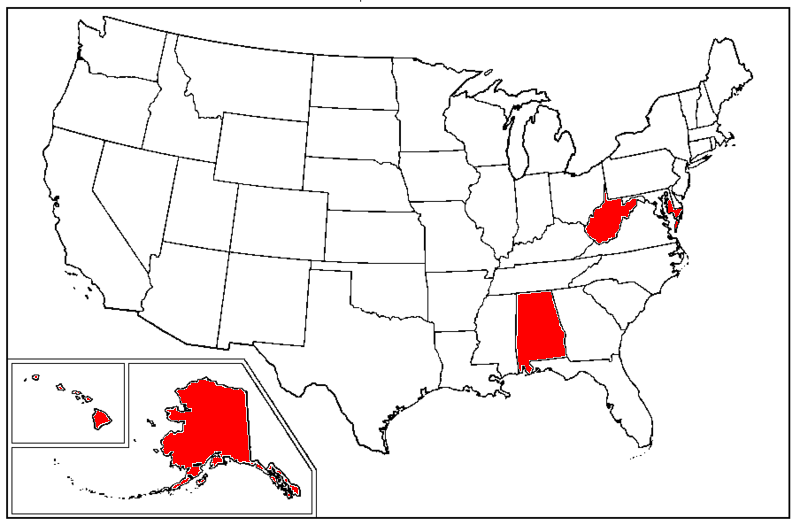 These states are Alaska, Alabama, Hawaii, Maryland and West Virginia. Commercial and surplus lines are still available. 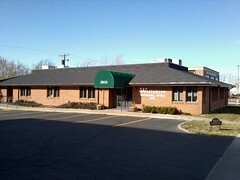 If you have any questions, please call us for details. We Can write all insurance lines(personal, commercial & Life) that are WHITE. These states include, Arkansas, Arizona, California, Colorado, Connecticut, Delaware, Florida, Georgia, Idaho, Illinois, Iowa, Kansas, Kentucky, Louisiana, Maine, Massachusetts, Michigan, Minnesota, Mississippi, Missouri, Montana, Nebraska, Nevada, New Hampshire, New Jersey, New Mexico, New York, North Carolina, North Dakota, Ohio, Oklahoma, Oregon, Pennsylvania, Rhode Island, South Carolina, South Dakota, Tennesse, Texas, Utah, Vermont, Virginia, Washington, Wisconsin, Wyoming. We are authorized to transact business in these states, per department of insurance.